Over the years, it has been an incredible learning experience to work with people forced to live in a land not their own. In recognition of #WorldRefugeeDay2018, I wanted to share some of my observations working with people whose resilience, courage and determination is extraordinary in the face of challenges that neither you nor I can begin to imagine. In 2000, I‘d spent several weeks working with internally displaced populations (IDPs) who were living in makeshift tented camps or under trees after the catastrophic Mozambique floods. They lost everything in an instant. By contrast, Burundians displaced by conflict who were now in Tanzania, lived in mud and thatch houses. Whether in an informal settlement or formal camp, displaced people share common desires and needs. Although Rwanda was feverishly rebuilding nine years on from the genocide, Burundi’s civil conflict continued for almost 20 years, ending only in 2006. 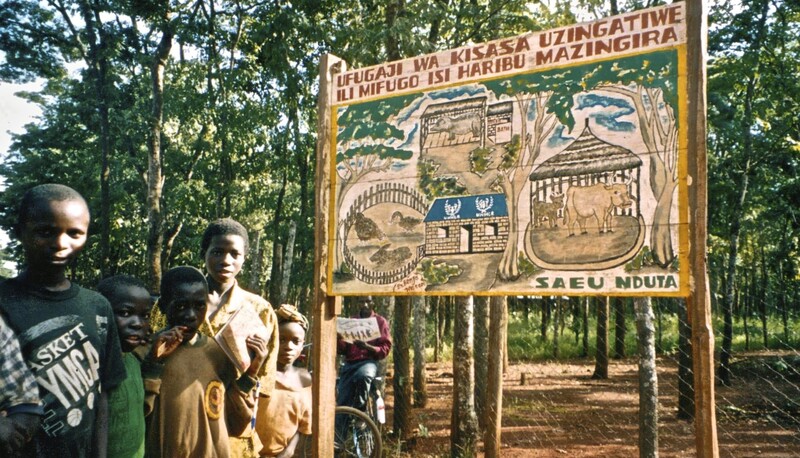 At the time, 500,000 refugees (mainly from Burundi) were housed in earthen mud and thatch dwellings across 12 fenced camps. Of these, 65% were under the age of 25. A colleague and I had travelled there to distribute 500 of our new solar and wind-up Lifeline radios to Burundian youth leaders in three camps. It was the first consignment of these radios ever produced. The radio programme, called Ejo Bite?, or How about the Future? was produced by youth in the local language, Kirundi, and reflected their lives, concerns and interests, with a special focus on HIV/AIDS. I was struck by how thirsty these teens were for information – information about everything. They wanted news of home and of the rest of the world. None of them owned radios, nor could their families afford the ongoing cost of disposable batteries. Many youth were also orphans. 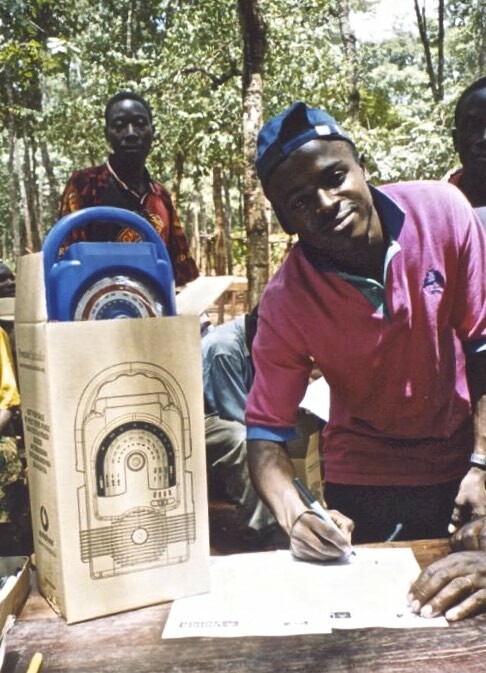 When I returned the following year, I was thrilled to discover from our partner, UNHCR, how many of these young people had demonstrated leadership in addressing HIV/AIDS and violence against women in the camps by using the radios. After listening to the radio programmes, they created skits and plays about HIV/AIDS, which at the time was still a taboo subject. Given the positive feedback and impact, the project then saw a further 1,800 radios distributed to youth leaders in eight other camps. From 2008 and 2012, I spent time in the four Dadaab refugee camps in eastern Kenya near the Somali frontier. These were then the world’s largest camps, with 500,000 mainly Somali refugees. Compared with Tanzania’s tropical climate, Dadaab was bone dry and dusty. I was astonished to learn how many of the young people I’d met were born in the camps and had never seen anywhere other than these 23 square miles of desert scrub. As Somali piracy was at its peak in the Indian Ocean, they had a slim chance of being resettled. My colleagues and I undertook several radio distributions to women and youth groups. Again, I was profoundly encouraged with how keen the women were to learn about health issues, like HIV/AIDS, maternal health and child care, as well as urgent matters such as how to deal with domestic violence. 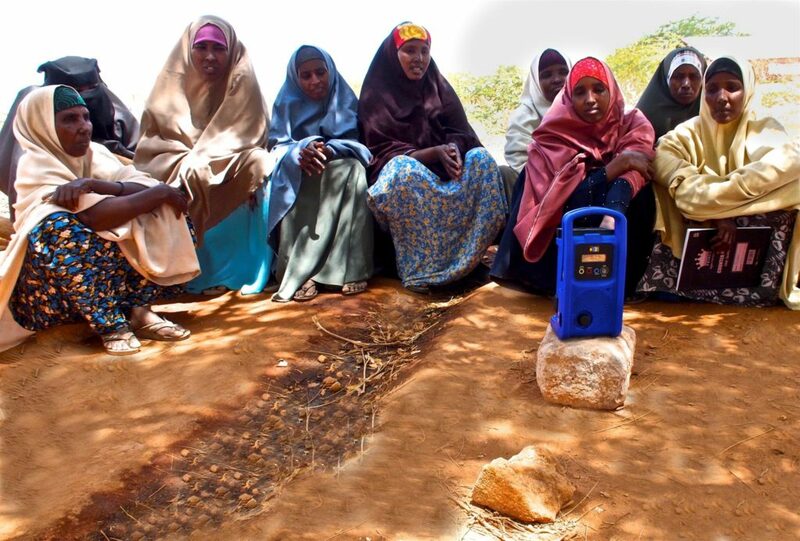 We had the help of the local Somali radio station, Star FM, who also organised women’s listener groups with some of the radios in the nearby host communities. I heard recently from a Somali journalist at the radio station that some of these listener groups are still going! In any camp I have ever visited, I’ve witnessed first-hand how starved people were for information and how imperative getting an education was to them – girls and boys alike. For children living in refugee camps, their lives and security have been shattered. Often violently separated from their homes, friends and even families, education provides a way to help to rebuild a refugee child’s life through normalising social interaction and gaining knowledge and skills. Children need to develop study habits early on, irrespective of whether or not they return to their home countries. Sadly, there are few trained teachers for this to happen effectively. For example, in the Kakuma camp in northwestern Kenya, South Sudanese refugees can sit for Kenyan national exams, however, only one in ten teachers is formally trained. Ten students end up sharing one text book. The value of our Lifeplayers can be seen in these environments, where regular broadcasting may not address the educational needs of the refugees. Unless educational content was broadcast into the camps, our radios could provide only information. However, with our solar-powered Lifeplayers, educational curriculum can be pre-loaded and listened to as often as necessary and when it is convenient for learners. 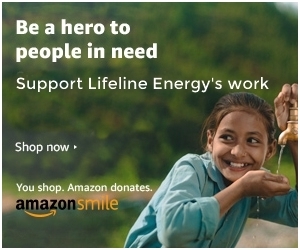 Lifeline Energy will soon be announcing a new initiative to support refugee education at pre-school and primary levels, in addition to teacher training. With the number of displaced on the rise around the world either from conflict or disaster, we believe our Lifeplayers have an important role to play in providing education and information when it’s needed most.